Although it is not impossible, it does take a lot of practice when you want to shoot a bow cleanly using just your fingers. 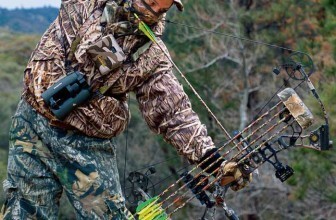 In order to ensure you always have a clean shot it is advisable to try out an archery release. This makes it so that instead of 3 fingers being in contact with the string, you are drawing the string with only one point of contact. If you are just starting out with bow hunting, it is a great idea to get the best bow release as it’s nearly an essential accessory much like a single-pin bow sight. You want to ensure that you are accurate in order to humanely and quickly take down your prey. 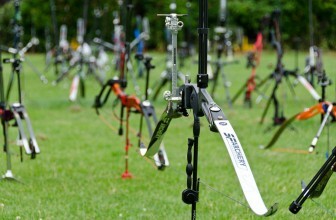 If we take things down to the basics you can classify bow releases in two grip types; hand-held and wrist. These two releases are the dominant types on the market today. Pricing will be dependent on smoothness and adjustments. Ensure that you are choosing an archery release that matches your bow setup. Wrist Style Releases: This is probably the most popular style. It will have a strap that you can use to attach it to your wrist and a trigger that is pulled by your finger. When you are judging the quality of your release, you will be looking in particular at the calipers or jaws. Higher quality releases will be adjusted for easy or difficult release. The transfer of draw weight to your wrist will be very noticeable. It will make it easier to hold back a full draw. Handheld Releases: These units are newer to the market than the wrist style releases. They are lightweight and easy to use. Handheld releases will still utilize a trigger mechanism but rather than triggering with your index finger, you will use your thumb. More often than not you will see competition shooters using this type of release. Adjustments: If you are using a handheld release you will need to consider the amount of length adjustment it will offer you. All archers have different hand sizes so one release will not work for every hand. This is why it is important to choose an adjustable release in order to ensure maximum comfort. String Style: A bow’s strings can be set up in various ways. Some releases are only suitable for certain string styles. Automation: Some releases have a hydraulic or automatic release. They will automatically fire the bow after a certain amount of time passes once you start to draw your string back. These types of releases are the most expensive on the market and should probably be avoided by novice archers. Noise: A hunter will have a pay attention to the amount of noise their release ends up producing. If it makes a clicking sound during its release it will easily spook your intended target. The Tru-Fire Patriot Release is an Amazon bestseller with an affordable price tag and a history of satisfied buyers. 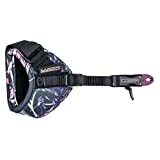 It has a 4.3-star rating and it is designed with a padded black nylon power strap which is easy to put on. It is good for both right and left handed applications and is American made. 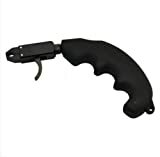 Its coated jaws and trigger allow for durability and longevity with smooth trigger action. The trigger travel is adjustable and the jaws close by pushing the trigger forward. There were a few critical reviews stating that the release broke due to its plastic parts but the majority of customers were extremely satisfied with the durability and quality of the release. AFFORDABLE, EASY TO USE - The Velcro strap provides a quick and comfortable fit and allows you to make adjustments as needed. Easy to use and an affordable price tag! 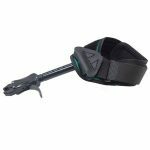 The Cobra Bravo has a 4.0-star rating on Amazon. The jaws are precision machined with a center release and is designed to offer a consistent shot. One customer had an issue with the wrist strap being large on him even though he is average size. Otherwise, customers are very satisfied with the quality, price tag, and durability of this release. This release has a factory tuned trigger with a 360-degree swivel mounted caliper head. The handle is molded with a rubberized gripping surface. It is designed to be rugged and easy to use. This release has a 3.9-star rating from Amazon customers and a very affordable price tag. The majority of negative reviews have to do with operator error and not the quality of the release. Most customers swear by this release whether they are novice shooters or tenured pros. Customer is very happy with the quality to price ratio of this release. 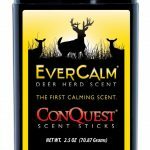 SAS is known for their quality and this archery release aid is no exception. 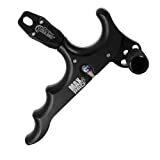 With a 4.4 star rating on Amazon, this is a great piece of archery equipment that doesn’t break the bank. 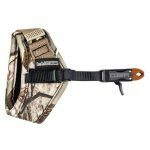 It has an adjustable velcro strap and its caliper is designed for D-Loops. The swivel head design is appropriate for right or left handed applications. The head design is adjustable with 5 positions. Every customer that took the time to review this product has nothing but praise for the quality and reliability. 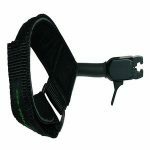 Some customers have remarked that the wrist strap is not as comfortable as more expensive units on the market. The Tru Ball Release is a little bit on the higher end for pricing compared to the rest of the units reviewed and has a 3.8-star rating on Amazon. One very happy customer mentioned that this release relieved the pain in her daughter’s shoulder that she previously encountered when shooting her bow, even with a wrist-strap style. 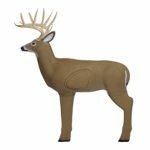 The release is quiet and perfect for hunting and its ease of use allows a hunter to quickly grab it while maintaining full attention on the deer or other prey. 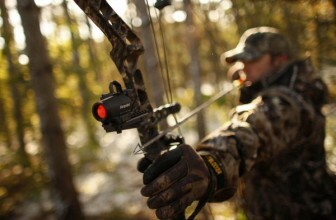 The release also offers a more natural feel with maximum control and accuracy.